Zinc-rich cold galvanizer. 12 oz Aerosol Can. Protects metal surfaces. 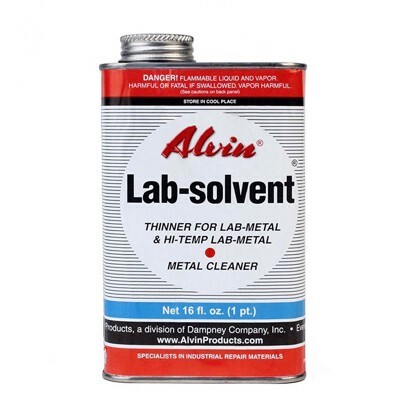 The 95% pure zinc cold galvanizing compound electro-chemically bonds with metals to stop rust creepage and corrosion. Sprays or brushes on cold. Heals itself when scratched. 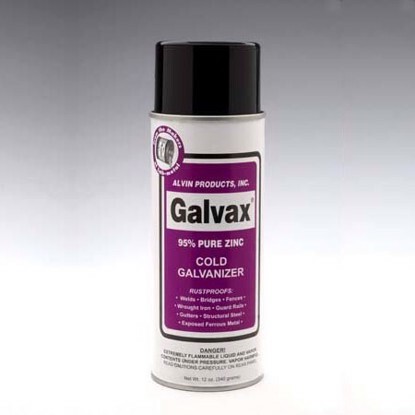 A coating of Galvax is comparable to hot-dip galvanizing for metal protection. 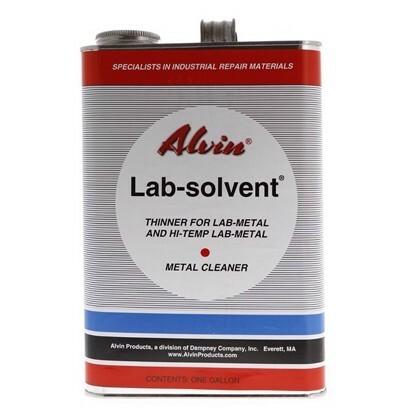 Cures damaged hot dip coatings and repairs damaged galvanized surfaces. Used for welding touch-ups and spot-priming. This product is used as a zinc rich primer, zinc rich paint, zinc coating, zinc paint, zinc primer, cold galvanizing compound, cold galvanizing spray. Dry lubricant and release agent in a 12 oz. aerosol can. 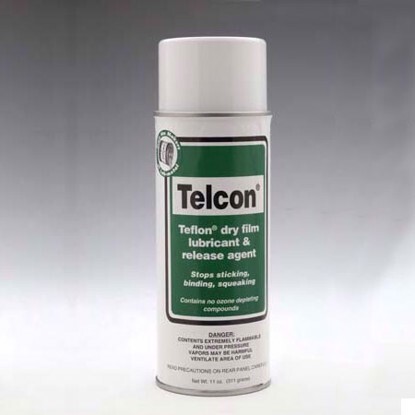 Dry lubricant and release agent. ODC free. Coats and lubricates with a clean, tough, semi-transparent shield. Eliminates sticking, binding, squeaking. Apply to metal, wood, plastic, glass, rubber -- anywhere sticking is a problem.